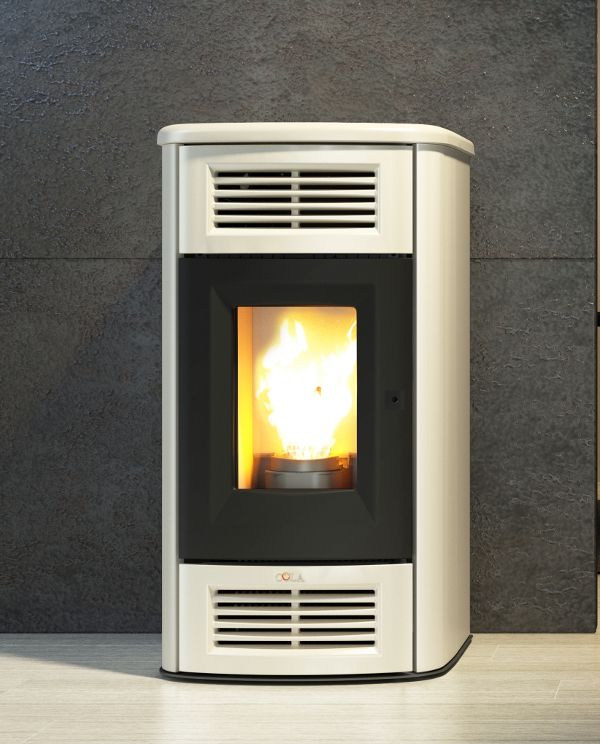 Ventilated pellet air stove with clad in painted steel with top and front grilles in majolica, painted steel sides and an elegant door in black painted cast iron with panoramic ceramic glass. Available with the possibility of adjustable double ducting. Remote control, pull-out ash pan and handle. Available in four colours.